Considered by many to be the Xbox's flagship title, Halo is a highly anticipated, story-driven FPS. You play the role a futuristic warrior fighting against a hostile alien force for control of a mysterious halo-shaped world. With its amazing graphics and promising multiplayer features, Halo is bound to sell like crazy come this November. Anybody still use XBC for HALO 2 ? 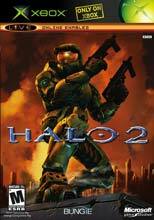 The Halo 2 Multiplayer Map Pack is a collection of nine multiplayer maps, as well as non-playable video content (a cinematic and a mini-documentary). Delivered on a standard Xbox DVD disc, the multiplayer content can be used by gamers on Xbox Live as.. The over 6 million-selling Granddaddy of Basketball is back! Redeveloped from scratch for the Microsoft Xbox, NBA JAM brings the "in your face" highlights of NBA play to life with over the top, arcade..